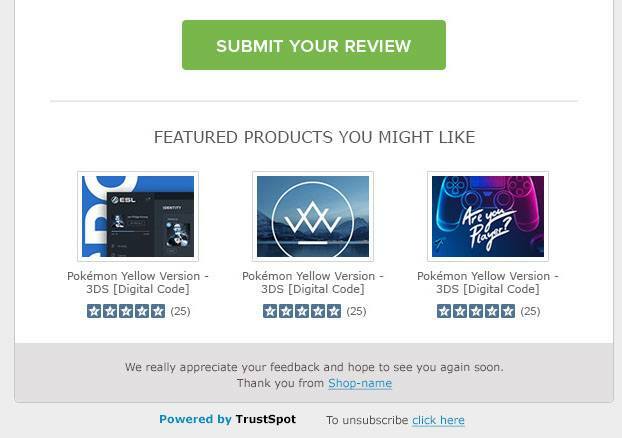 For customers using our Product Reviews feature, we just implemented a new way to show off your other products to customers within your emails to them. This feature allows you to show 3 featured products in the bottom of your email. Based on popular request from our customers we added the ability to download an invoice from the billing page. This way you have an easy way to reconcile finances with your team. We wanted to condense the amount of items in our menu and it made sense to combine the Automatic Email with the Email Settings pages to be a single page called “Automatic Email Settings”. All your settings for Emails can now be found in this page simply by scrolling down. Similar to the Direct Request feature for Company Reviews, we now have a similar one available for Product Reviews. This allows you to enter in an Name, Email and select a product for which you would like the customer to receive a review request for. We updated the product page to give you the ability to add, edit or remove products. This comes in handy if your products changed on your website, and you want the changes to show within your Product Widget for the corresponding Product. We updated the name of our On-Site Promotions title in the left menu to Trust Elements to better align with our branding. Due to popular demand from our customers, we have moved the ability to fully customize the Product Widget customization tool to our Premium Plan from our Ultimate Plan. The customization options allow you to customize not only the star color for the Product widget but also all the colors associated with the widget so it looks similar to your website product pages. We recently submitted our BigCommerce Plugin to the marketplace, and we expect for it to be approved and released shortly. We will announce separately once it is available.